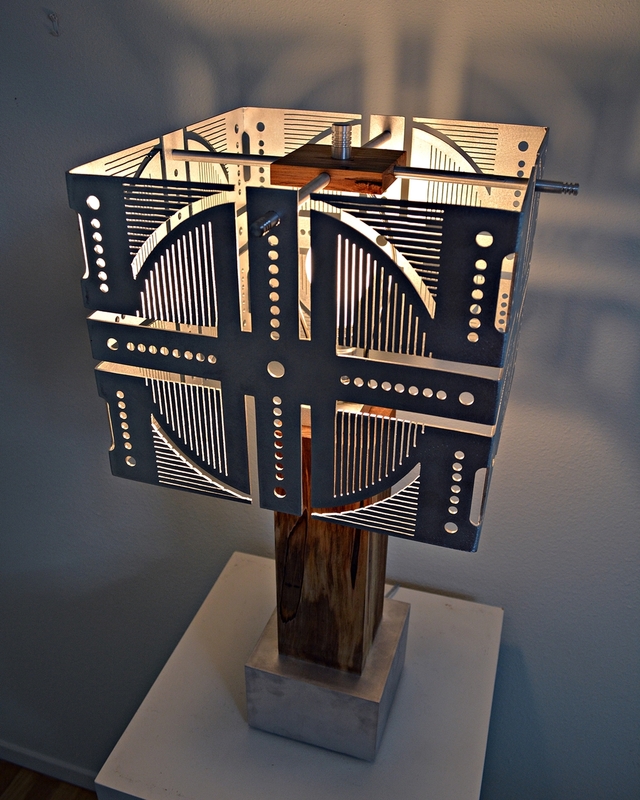 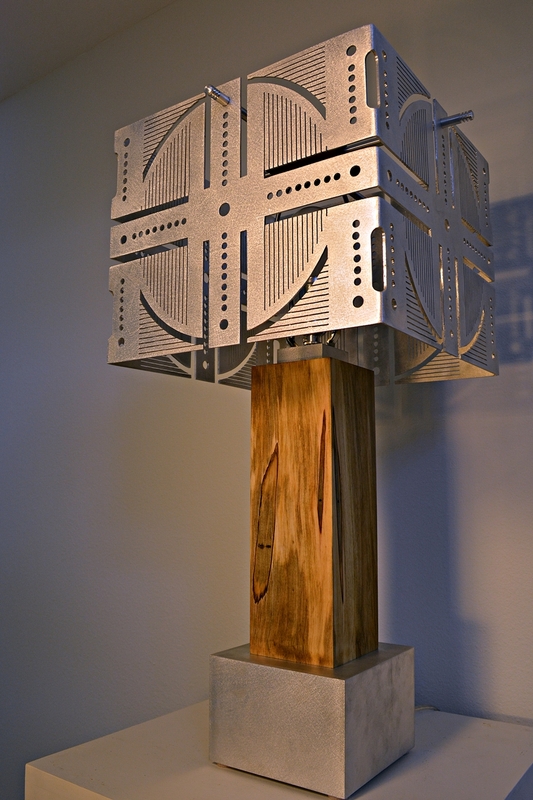 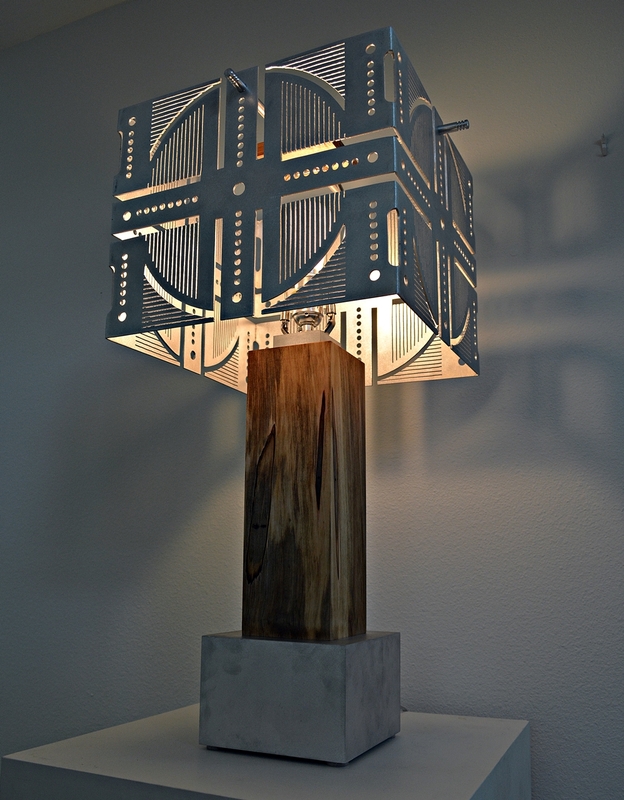 This lamp design takes its cues from geometric patterns sometimes associated with the art deco style . It is bold and truly unique. 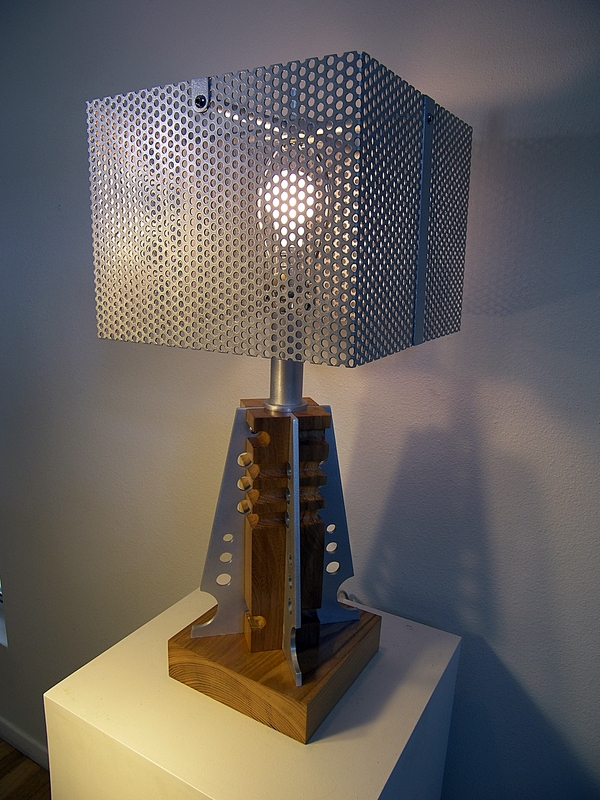 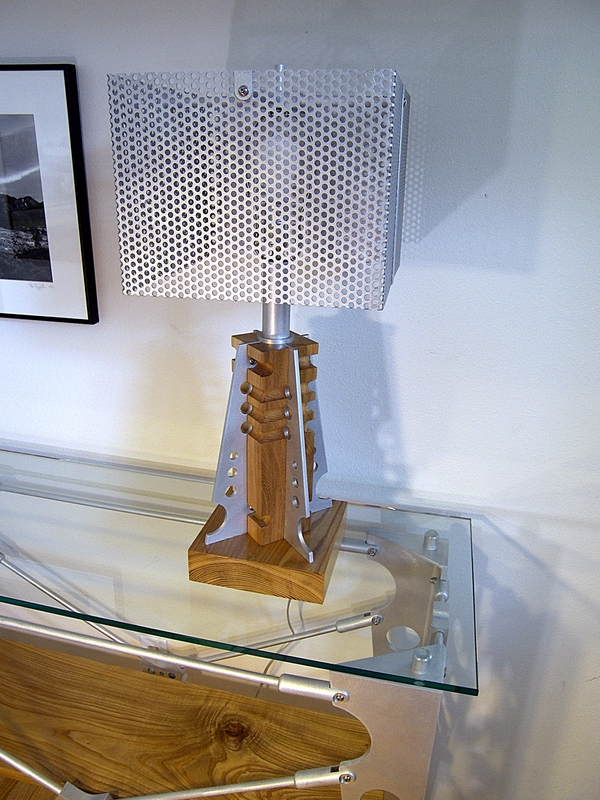 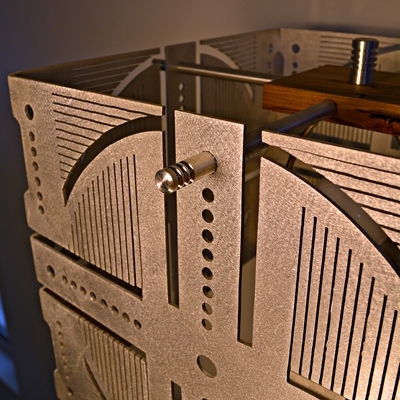 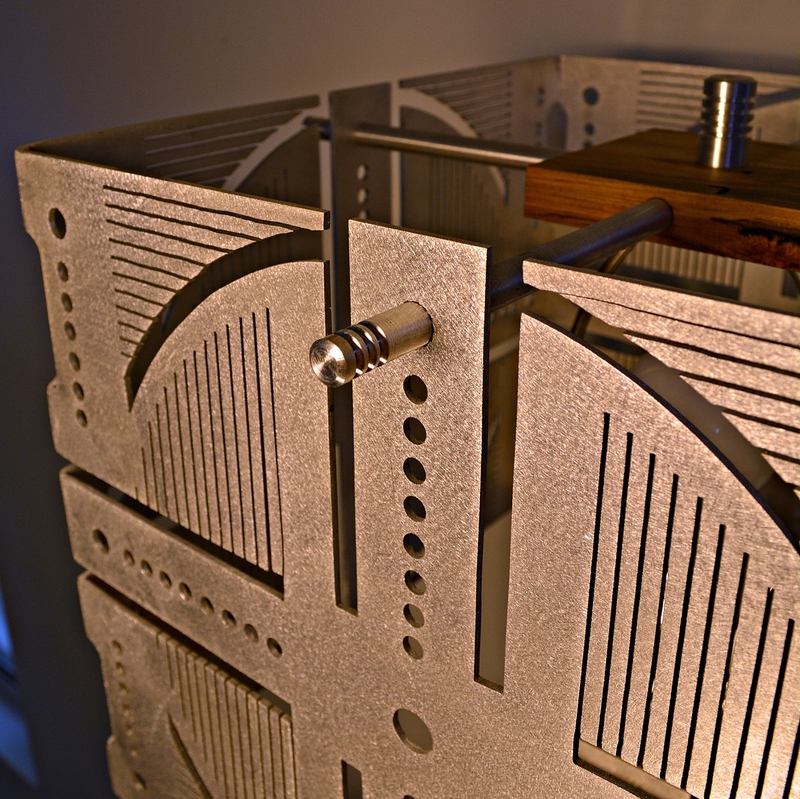 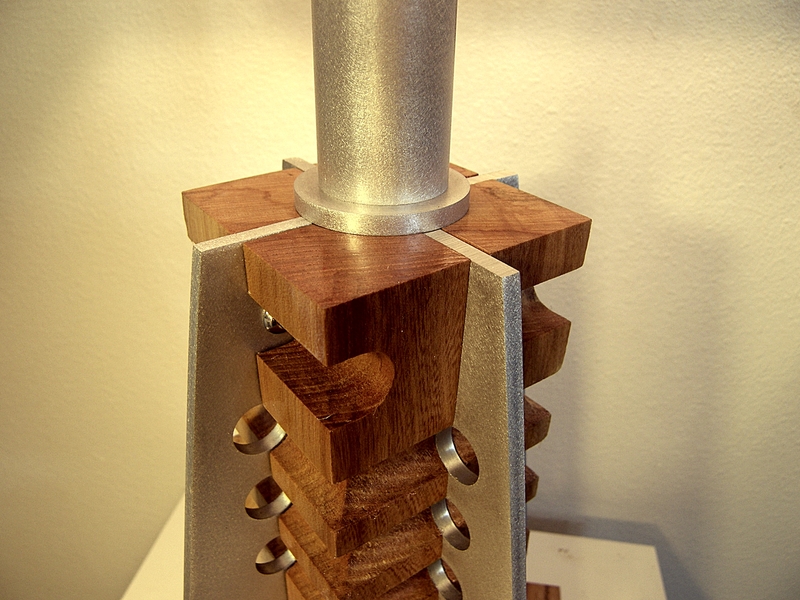 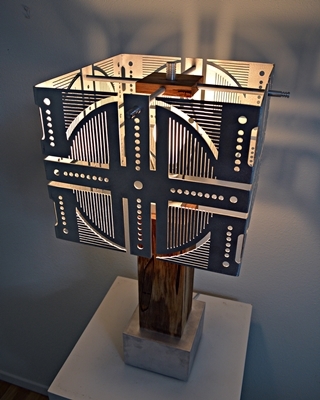 This lamp is the second one designed and built with a metal shade. 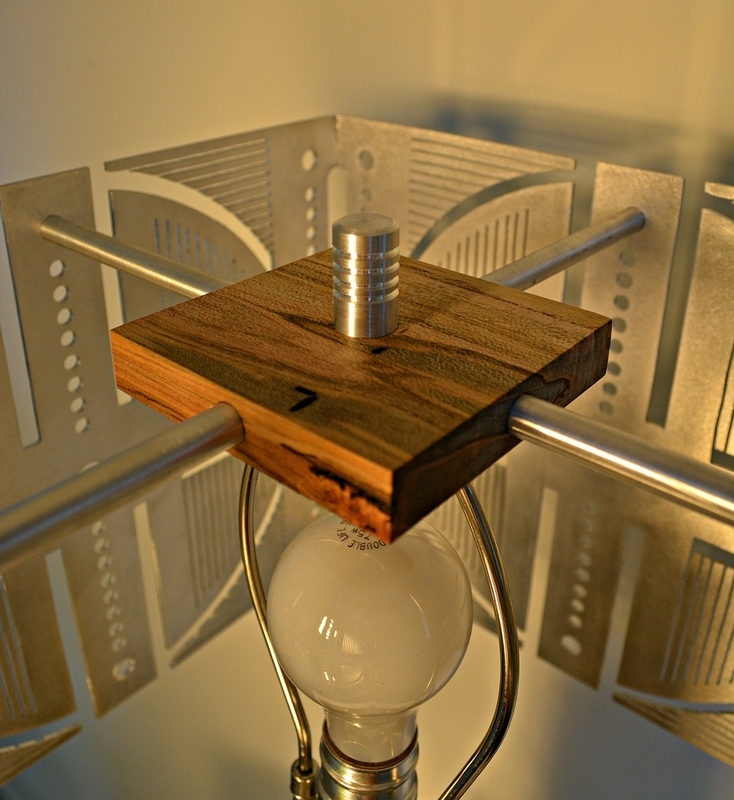 The upright is ambrosia maple.